Advantech now provides a new series of ASMB server boards powered by Intel® Xeon® Scalable processors with up to 28 cores providing at least a 1.5-fold increase in computing power compared to previous Xeon® processor generations. Aimed at diverse industrial applications, these new ASMB server boards are designed to provide turnkey solutions that accelerate deployment, ease management, and enhance virtualization to facilitate cloud computing. Moreover, with support for up to 4 GPU cards, these server boards are ideal for computationally intense imaging and virtual desktop infrastructure (VDI) applications. 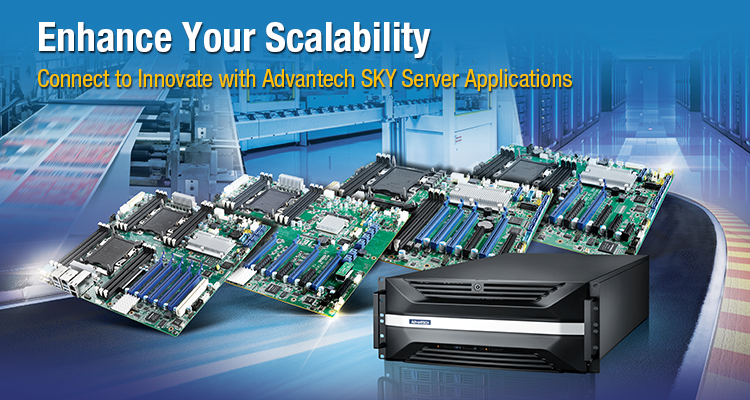 Aimed at diverse industrial applications, Advantech provides a comprehensive range of server boards and chassis solutions.